In this conversation from 1998, the Booker Prize–winning author of The English Patient talks to Eleanor Wachtel about Handwriting, a collection of poems about loss, landscape and the history of Sri Lanka. Canadian literary icon Michael Ondaatje has had great success as a novelist, but he actually began his writing career as a poet. He won two Governor General's Literary Awards for poetry before he ever turned to fiction, and now has a dozen collections, including There's a Trick with a Knife I'm Learning To Do and The Cinnamon Peeler. Born in Sri Lanka and educated in England, Ondaatje moved to Canada in 1962 to attend university. He went on to write internationally acclaimed novels such as Canada Reads finalist In the Skin of a Lion, Booker Prize winner The English Patient and Anil's Ghost, which won both the Giller Prize and the Governor General's Literary Award, plus France's Prix Medicis and the Kiriyama Prize of the Pacific Rim. In 1998, Eleanor Wachtel spoke to Michael Ondaatje in Toronto about his poetry collection Handwriting. The collection features poems about loss, landscape and the power of history in Sri Lanka. I tend to believe that everyone's family is as weird as mine. I don't believe people when they say "You were lucky, you had a really weird family." I think everyone's family is strange, if you would think about it for long enough. I left Sri Lanka when I was 11 to go to school in England. There was a kind of franticness about being in a new country. I felt that in order to survive, I had to focus on England and how things worked. So for the next eight years that was my preoccupation, and I guess I did forget Sri Lanka at that point. The community of family in England was very connected with Sri Lanka, and my mother was there, but it was separate from the original country. So when I went to write Running in the Family, it was really having to go back as an adult and begin again from the age of 11, and to try to see what had happened at that age in a context of not just a childhood memory, but as an adult. I would not have been a writer if I'd stayed in Sri Lanka or England. Maybe it's possible now, but when I was a child in Sri Lanka and a teenager in England, writing was for the "haves." It would have been absurd for me to think I could have written a poem, let alone a book of poems. I think times have changed, but at that time there was a sense that intellectuals at Oxford wrote poetry, and that was it. People abroad wrote poetry. The culture in Sri Lanka when I was a child was an imported culture. There was a local culture, but it was a street culture that no one had really looked at. The thing about Canada was that I met writers who were my age. They were making books and discussing poetry. That was a gift I was given. That community of writers was what allowed me to try writing, and to continue writing. 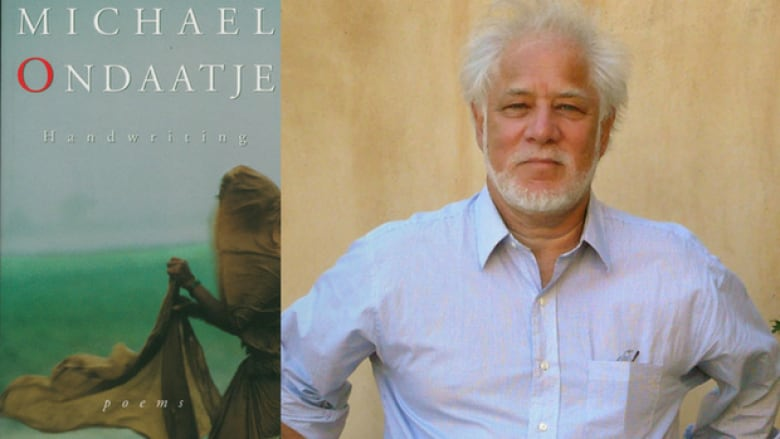 Michael Ondaatje's comments have been edited and condensed. Music to close the broadcast interview: "Varuna Ghat" by David Parsons, from the album Yatra.